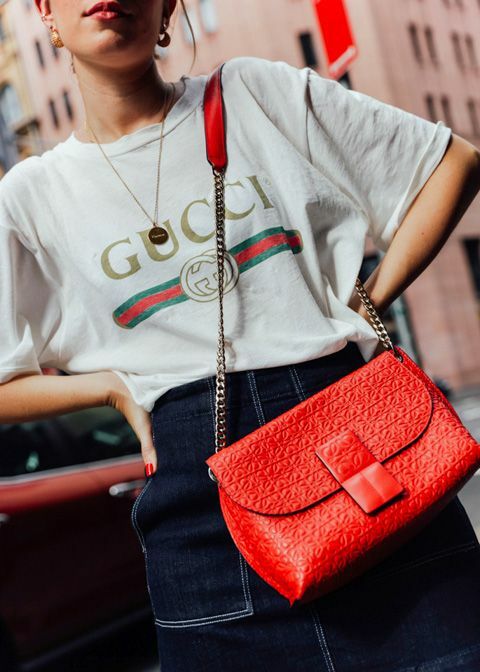 When it’s hot, an accessory can make all the difference, and I have been loving wearing a splash of red to lift even the simplest jeans and T-shirt outfit. It could be red shoes, red earrings or my favourite, a red cross over bag that I found in a Vintage shop in Margate a few weeks ago. The simple tip is to only wear it on one place, don’t overdo it with red shoes and a red bag, unless you’re dressing for a power event. 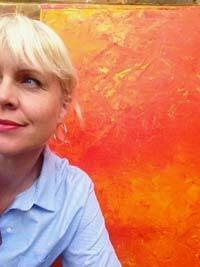 For everyday, one bit of red is really enough, even a splash of red lipstick. Just stop there, and tone the rest down. So far I have worn it with just about everything, any colour combination seems to work…over simple white to clashing with the palest pink, with green, over blue and definitely punchy with multi prints. See my instagram ideas. 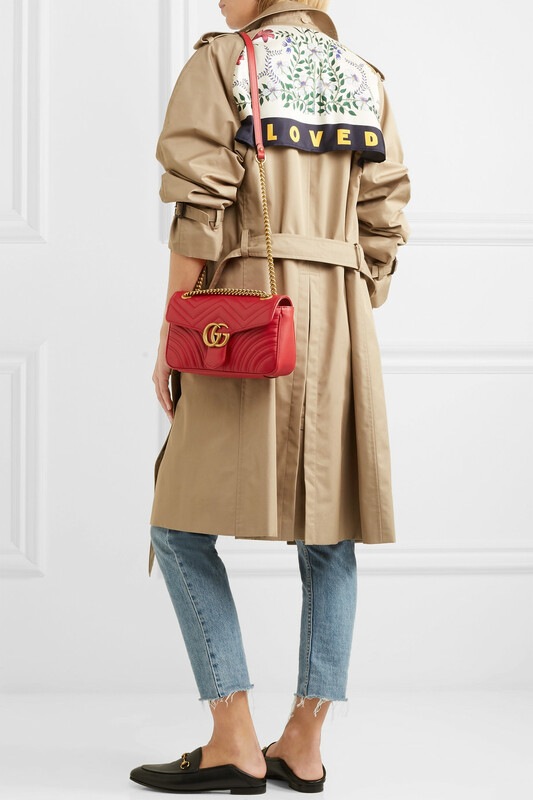 Designer inspiration from Gucci at Net-a-Porter. 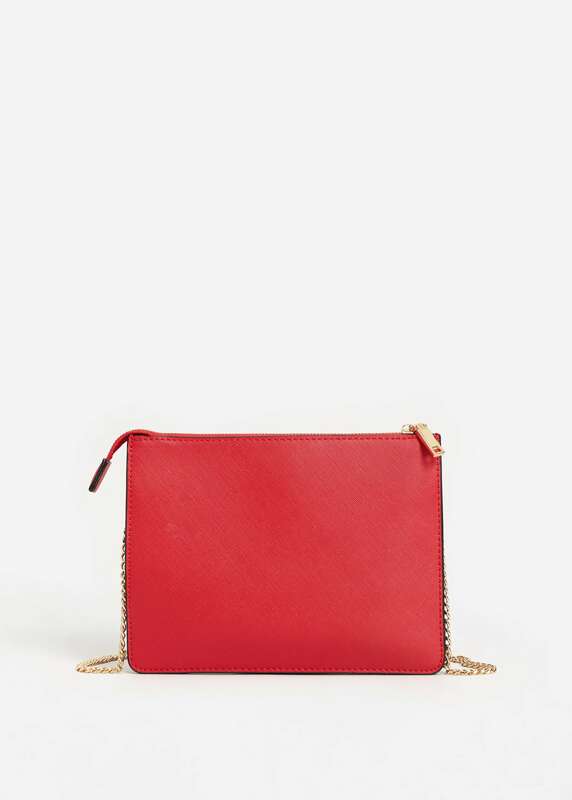 Try this sleek option from Mango, with duel compartments and a detachable strap to use as an evening clutch. 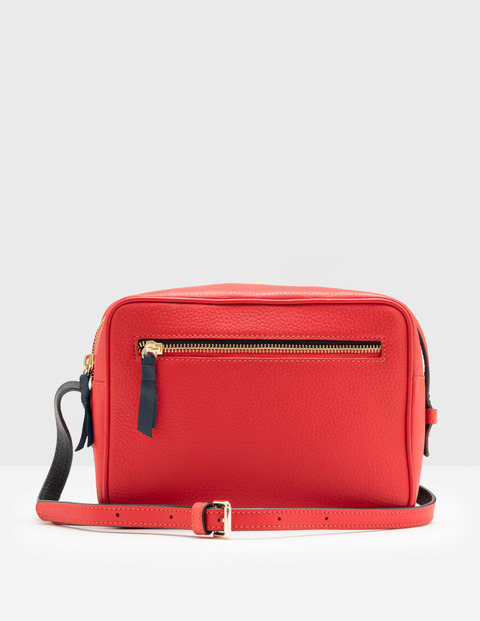 Or more boxy for everyday by Boden in red leather, and zips galore. Pinterest inspiration on how to wear it to make the red pop. It will be a great investment as red is going to be everywhere next season, maybe head to foot by then! Would you be able to let me know where I can purchase your red esperdrills in your photograph in February 2017 you wore with the guide to best Jeans please – trouble is I’m on a budget but really want to put together a similar style – you look great – younger than me no doubt – I’m in my mid fifties still wanting to look as good! Apologies February 2017 Good Housekeeping article ! Thank you for your enquiry and for your kind words, but we had a lot of help from hair and make-up and clever photographers to look decent! For a high red wedge, open toe at Marks & Spencer, £49.50. Wide fit with ankle tie on wedge espadrille at Marisota, no size 7, £20.